The Roundtable. 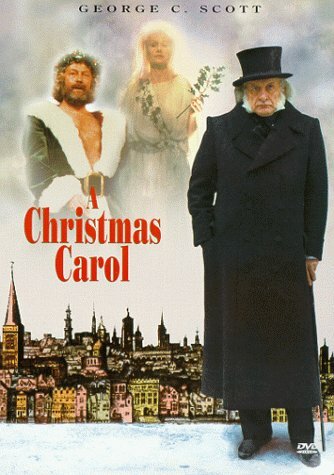 : Clive Donner's "A Christmas Carol"
The director Clive Donner passed away two days ago at the age of 84. Many people, like myself, may have gotten him confused over the years with the more prolific and successful Richard Donner, director of the original "Superman" and "Lethal Weapon" franchises. Clive Donner, on the other hand, was an Englishman. His career started out with a bang in the early 1960s -- he made the wildly successful "What's New, Pussycat? ", written by Woody Allen -- but by the 1970s he was mainly doing TV work. He hadn't made a film since 1993. But he did direct one of the most sublime film versions of "A Christmas Carol" ever made. It was for TV, in 1984, and starred George C. Scott as a perfectly cast Ebenezer. This is a gorgeously realized production, with a particularly muscular and memorable Scrooge from Mr. Scott. Donner made a beautiful movie. If you are looking for something fresh to watch this upcoming holiday season, and have not seen Clive Donner's "A Christmas Carol", put that in your movie queue and then watch it with the family. It'll put you in that good old Christmas spirit.